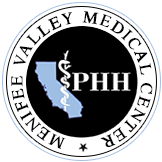 Welcome to Menifee Valley Medical Center's web site. We have created this web site for your convenience to share information on our hospital and the comprehensive services we offer. plastic surgery, emergency services, and physical therapy. Our medical staff includes skilled, board certified physicians committed to high quality care. You will find that we have caring and experienced nurses, medical technicians and support staff. At Menifee Valley Medical Center we want the patient experience to be as pleasant and as comfortable as possible. That is why we provide private rooms for all inpatients, a convenient location, as well as convenient parking for our patients and visitors. We are here to help you get well, get healthy, and back to a normal and productive life. We welcome the opportunity to serve you and your family and we personally invite you to visit and make Menifee Valley Medical Center your hospital of choice.